When you’re combining two meals into one, not only do you want get the most bang for your buck, you also want to go somewhere worthy of a two-for-one. 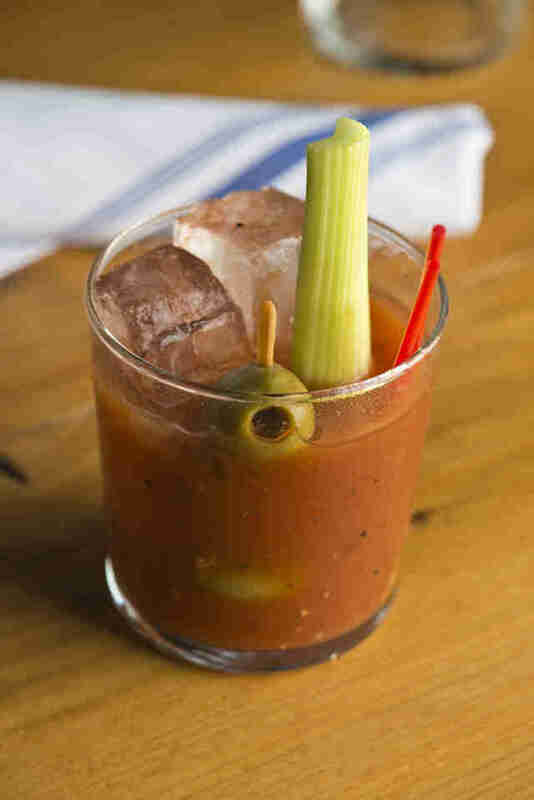 Everyone knows that brunch isn’t complete without bottomless booze, so we found the best brunch spots in Brooklyn to drink all your heart desires, along with some that aren’t totally bottomless, but still offer great boozy brunch options. Scroll down and find the best spots, organized by neighborhood, that go the extra brunch mile in the borough. The deal: $10 for all the mimosas, Bloody Marys, or draught beer you can handle in 60 minutes, in addition to a entree (typically $15 each). The deal: For $26, you get can get bottomless Bloody Marys, mimosas, screwdrivers, straight Champagne, or piña coladas, PLUS an appetizer, entrée, and a dessert! The deal: For $22 you can get all the mimosas or Bellinis you want, plus an entrée. The deal: From 11am-4pm, $24.95 will get you your choice brunch entree, and one hour of unlimited mimosas or screwdrivers. The deal: While it’s not bottomless, this Southern cafe will typically cost you around $15 for brunch, and the drinks are well priced. Be sure to try the signature cocktail, The Brownstone Punch. The deal: Perhaps the best and cheapest hangover cure to drink at brunch is Cafe Ghia’s $7 Emergen-C Crisis Cocktail (yes, there’s actually Emergen-C in it). The deal: From 11am-4pm, $30 will get you bottomless drinks for 90 minutes and an entrée of your choice. The deal: You have 90 minutes to drink all the Bellinis, mimosas, or Bloody Marys your heart desires for $21.95, plus an entree. The deal: Not unlimited, but margaritas are just $5 from 11:30am-7pm. The deal: $17.95 for unlimited Champagne, mimosas, Bellinis, screwdrivers, and Bloody Marys. The deal: While this spot doesn’t offer bottomless drinks, the food is reasonably priced, and the brunch cocktails are so good you won’t regret spending a few extra bucks for the bang (most are around $10). 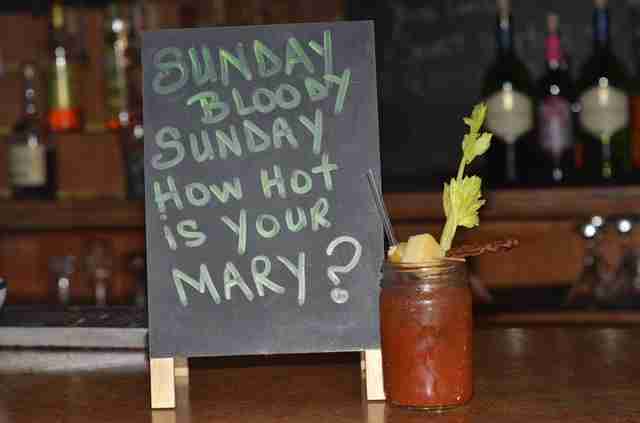 The deal: $2 off all Bloody Marys from 11am to 4pm. The deal: While this excellent brunch menu doesn’t come with a bottomless booze option, drinks are still seriously cheap at $5 for mimosas and $6 for Bloody Marys. The deal: For $22 on weekends between 11am-4pm, you can get the bottomless beer brunch special, or two for one mimosas if beer isn’t your thing. The deal: Every Saturday and Sunday between the hours of 11am and 4pm, $24.95 will get you any item on the brunch menu, plus unlimited mimosas, Bellinis, sangria, or Bloody Marys. The deal: $18.95 for bottomless mimosas, Champagne, Bloody Marys, and an entree from 10:30am-4pm. The deal: $19.95 for bottomless mimosas or Champagne and an entree. 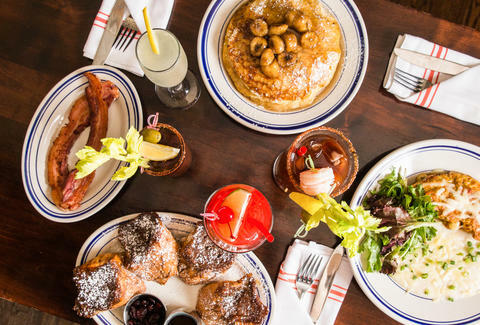 The deal: For $25, get bottomless mimosas, Bloody Marys, or sangria, plus an entree. The only catch is it lasts for 90 minutes! The deal: The average “Br-Entrees” will cost you at most $12, and while there are no bottomless specials, there are some seriously well-priced boozy brunch drinks. 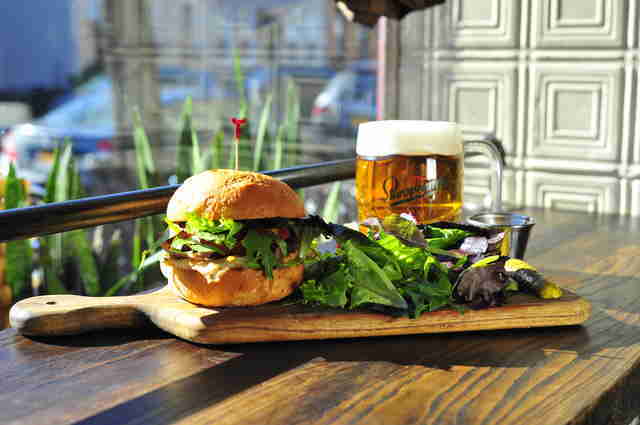 All beers go for either $6 or $7, and listed under “starters” are $6 mimosas, $6 Bellinis, and $7 Bloody Marys. The Deal: $16.99 will get you bottomless mimosas, Bellinis, sangria, or house wine. The deal: For just $10 extra you can get bottomless mimosas for 90 minutes. The deal: For a mere $20 you can order two courses and enjoy bottomless mimosas and Bloody Marys. The deal: $29.99 for any entree, and bottomless Mimosas, Bloody Marys, or greyhounds. No time restrictions. The deal: For $34 you can get one big plate, plus brunch punches, Bloody Marys, mimosas, and craft beers (cider, lager, witbier, pale ale, amber). It should also be noted that this bottomless special goes until 8pm (!) every weekend. The deal: For $40.99 order any food item and bottomless mimosas, Bloody Marys, sangria, selected beers, and house bottles of wine. Although, bottomless booze is limited to an hour and a half, so chug. The deal: Unlimited $1 mimosas from noon-8pm at the Cabaret Brunch Bar. 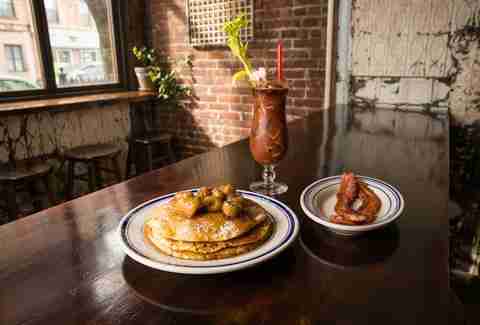 The deal: $25 for bottomless mimosas and Bloody Marys. 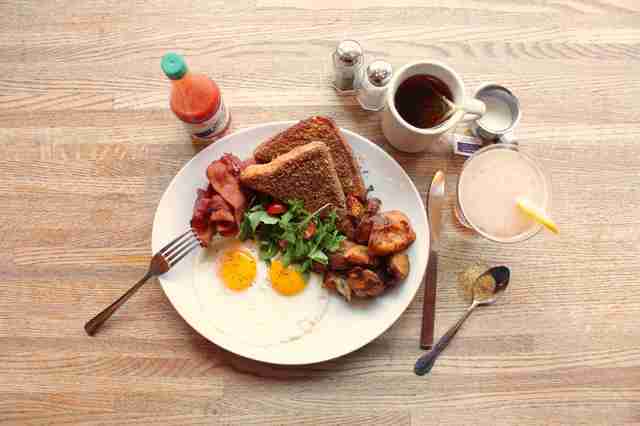 The deal: $8 for bottomless mimosas plus a la carte brunch menu. The deal: Every last Sunday of the month, $25 will get you 90 minutes of bottomless Bloody Marys and mimosas with one entree. Bianca Heyward, whose diet once consisted of top ramen, mangos, and beef carpaccio, now has a diverse palette and enjoys the finer things in life such as brunch. Follow her on Twitter and Instagram.